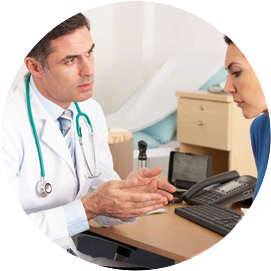 Medical Management Online helps you process claims faster, and keeps you in the loop. For more than 20 years, MMO has been doing things a little differently in the medical-legal management field. We understand the needs of the insurance industry, and have built our company to meet them with unmatched efficiency. Our lean and flexible structure enables us to offer personal customer service and quick turnaround times, without limiting the scope of what we can accomplish for our insurance clients. With our superior tools and service, MMO can blend seamlessly with your organization. We have polished our process over the last 20 years and can easily adapt it your preferences. Reports are created swiftly so that your workflow is never impeded. When you call MMO, you talk to a live person who will work diligently to meet your needs and understand your concerns. Our user-friendly and secure website provides realtime status on referrals, access to all documents relating to the case, and easy opportunities to give us feedback.